Why haven’t I made Lamb Kofte’s before?!? Oh my goodness, I can’t believe I haven’t tried making lamb kofte’s before! I was salivating, whilst they were cooking. Only the heat from the cooking, prevented me from munching one, when they came out the frying pan. 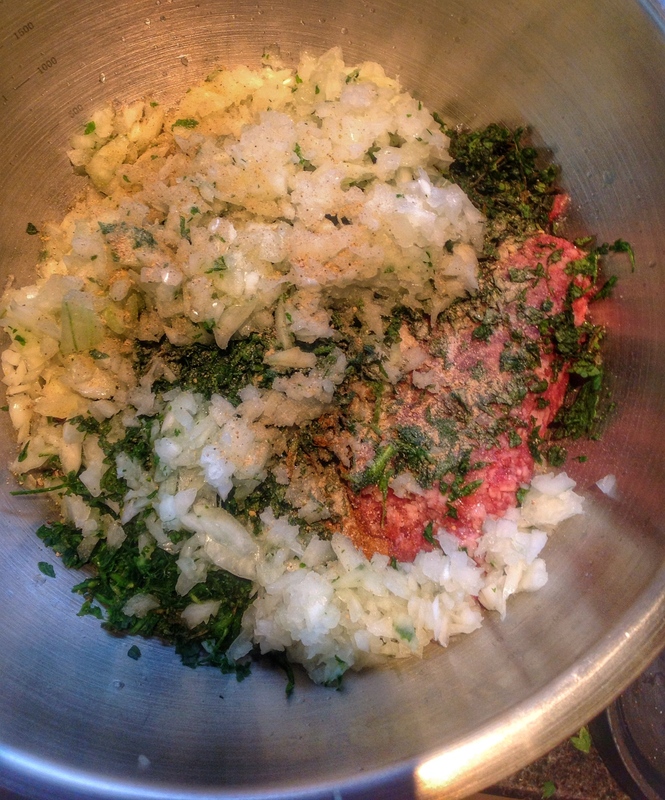 Traditionally, loft’s and kebabs are usually prepared with a fresh tomato, onion, parsley & sumac salad. 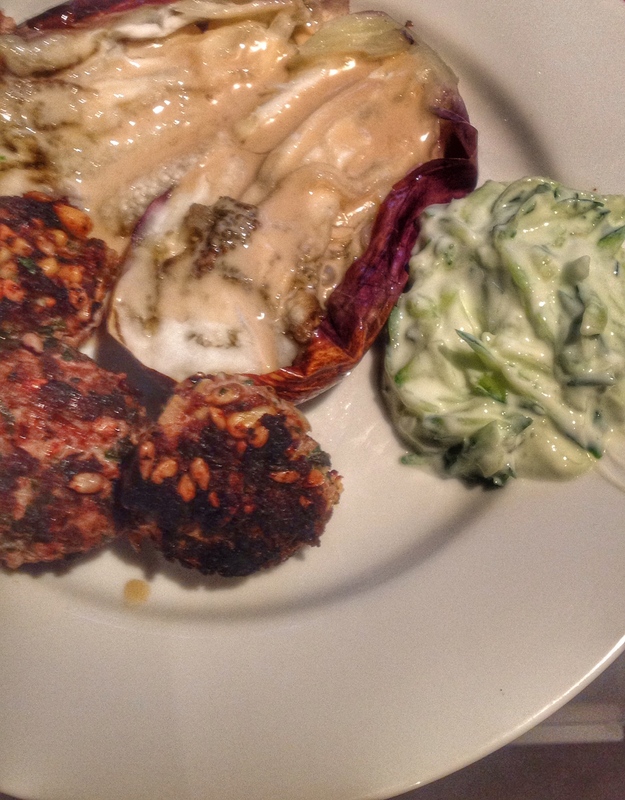 I made mine with grilled eggplant slathered in tahini & a generous portion of tzitziki. This is a modernized version for the home, with amazing textures & tastes just exploding in your mouth. Combine all the ingredients together except for the oil, and season with salt & white pepper. Fry the koftes in batches in the frying pan, about 4 minutes on each side, until golden and completely cooked through. Now you can use this as finger food, or add it into pita or like me, grill some aubergine, dash tahini over and add tzatziki. Yummmmmmmmmmmmyyyyyy!!! 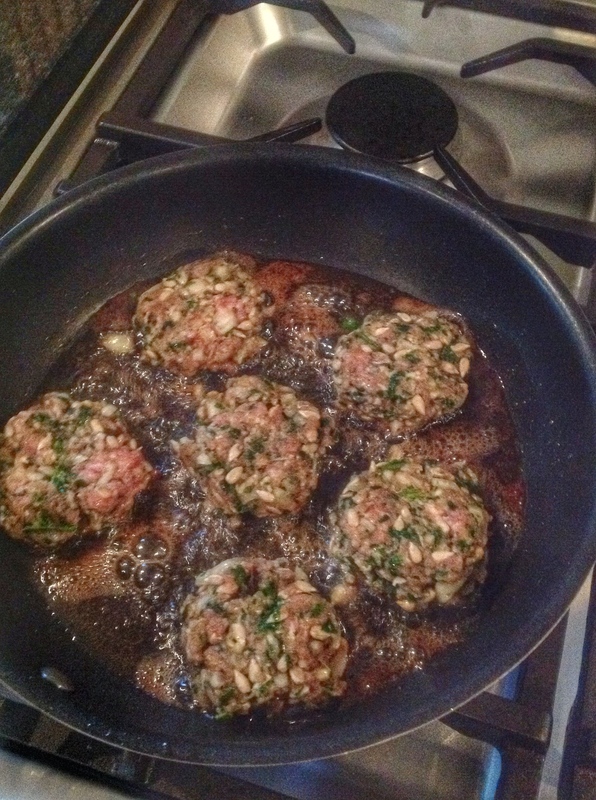 This entry was posted in cooking as easy as 1..2...3, LCHF recipes and tagged beef mince, chicken mince, coriander, koftes, lamb koftes, lamb mince, LCHF, mint, pinenuts, sunflower seeds by angelb38. Bookmark the permalink.